Edward Selfe is a photographer and guide who’s been living in the Luangwa for 5 years. He keeps a daily photo blog of his activities in the bush and runs several specialist photo safaris in the Luangwa each year. See his website here. 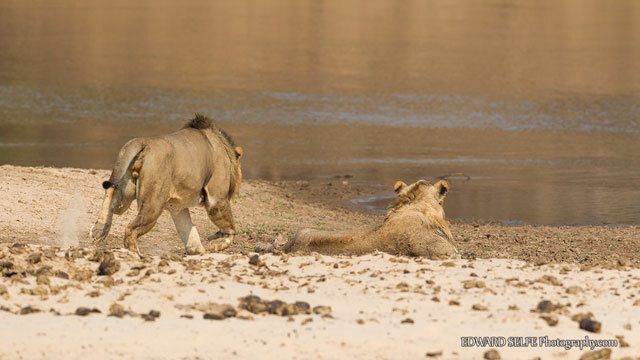 Amazing images of two male lions fighting for dominance in the South Luangwa National Park.